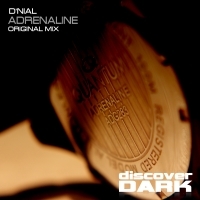 Pulsating Psy Trance action from D'nial is next up on Discover's Dark imprint. Searing leads, throbing bass and vocal stabs all nestle in with some stunning production techniques to create a full on audio weapon of mass destruction. 'Adrenaline' is available now from Beatport and iTunes.